2) ATF leaking underneath, not sure where from, but this is ending up on the exhaust, hence smoke on a few driveway climbs - maybe out breather under heavy load from expansion? So aside from the immediate ones, I'll need to architect and build an exhaust, or part thereof, to fit this car. Therefore 3" is going in, hopefully fairly quietly. Got 6 months to sort the minor stuff out, including that. Got it a WOF some days ago, and have begun planning the new 3" turbo-ready exhaust that needs to be completed inside the next 5 months or so. First up, my OnePlus 3T with cover is 153mm long and 77mm wide. Why? Read on. 1 width + ~1cm = ~87mm, only need 76mm so this is ample without affecting clearance or risking heat damage. No measurements on the middle muffler or catalytic converter area for another muffler and a resonator/coby, respectively, yet. Plan is to do minimal joins/welds and start the 3" part as rearward as possible. The muffler WOF man complained about is the middle one, though, so it's going to get most of an exhaust. I'll probably just put a 3" size flange onto the stock exhaust up in front of the middle muffler and post catalytic converter and have it step up there or something like that. Goal is as quiet as possible for the space available with no restriction for later RB30DET use. 330mm X 230mm X 100mm which is smaller than stock. But I'd prefer to go up in size, or stay the same, not go down. Shipped out from Chch today. May arrive with me tomorrow, or over the weekend, or early next week. Not sure. Expecting a phone call to say "collect" at which point I'll swap cars, and do just that. No arrival as yet, so I got stuck into tidying the garage tonight, and in the process stumbled upon a big fat RB30E engine sitting in a corner. 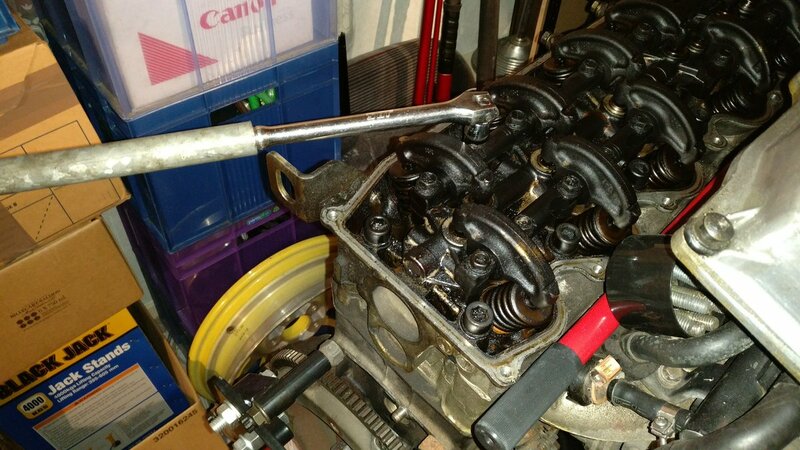 So I loosened the head bolts/cap screws one by one, and drained the dregs from the sump and removed the filter and intake manifold brace, and cleaned the top of the cam cover for photos soon. Hoping to engage Corbon/Rob for some RB30E support development prior to decommissioning the distributor, coil, head, inlet, etc and selling the lot. 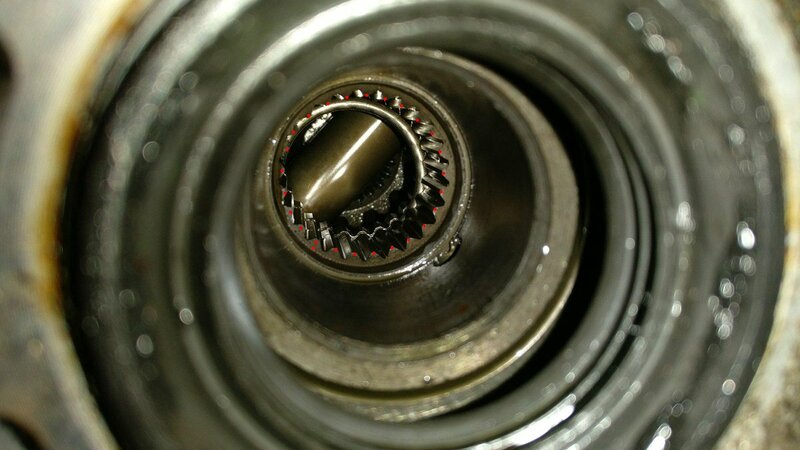 Also measured up the front diff in the 4wd sump that I bought some time ago: 25 splines and R160 size (at least, R180 ring wouldn't fit in that casing AFAICT). Going to potentially try to figure out the Subaru R160 LSD situation in a little while, hopefully. Also R180 investigation for the KP60. Clutch cooked, but PP and flywheel surfaces in great shape indicating the mileage was legit. All gears select and transmit hand-torque. Clutch is pull type, too, not push, so that's a bit novel for me. Just needs a new disk, hopefully I can find one like the stock one which is ultra high quality even if totally worn out (9 rivets, 12 springs, nice pockets). R160 is fluid lsd , why you use that? Also it has high gear ratio , is that suitable for your project? Hi wastegate! I thought there were clutch pack R160 options? If not, it's not an option for me. Torsen might be, but I prefer clutch pack diffs. Same goes for this Nissan, too.